Hi friends, Aly here. 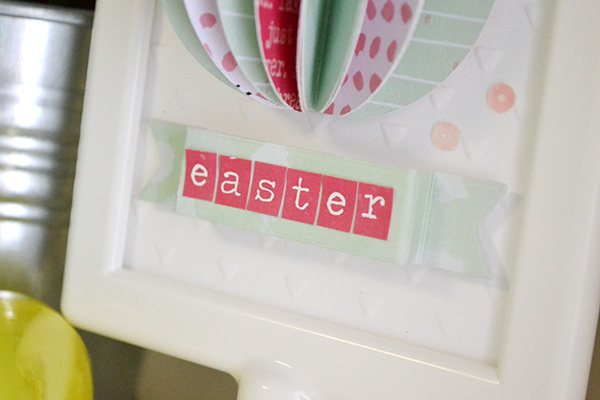 Are you looking for a quick and clever Easter decor project with a little bit of pop? How about making some folded Easter eggs. 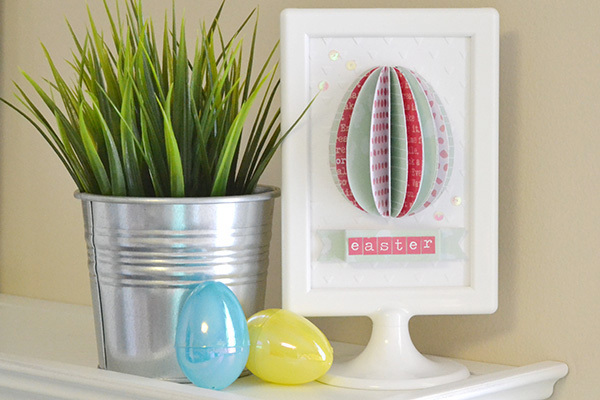 I used mine for this simple Easter frame, but you could add folded Easter eggs to cards, scrapbook layouts, banners, trees, and more. The soft pastel colors of the Love Notes collection were exactly what I wanted for this project. 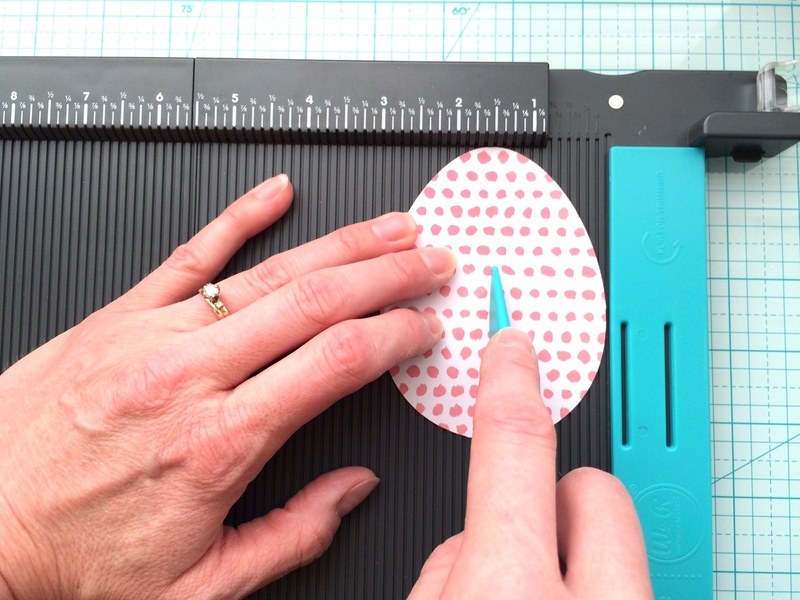 I cut nine 2 1/2″ x 3 1/4″ egg shapes with my electronic die cutting machine, and then used my Trim and Score Board to score them each down the center. I folded the egg shapes in half and then adhered them together with double sided tape. I left the last two open so I could mount them on my background. For my background I cut a 4″ x 6″ piece of white cardstock, and embossed it using my Evolution Advanced and the Triangle Embossing Folder to give the project a little more texture. To create my title I die cut a dimensional banner shape and added some mini alpha stickers. I tried to keep it simple to allow the folded egg to be the focal point of the project. Once I had assembled all the pieces of my project, I inserted the background into the top of the frame and then added the folded egg and title using foam squares for extra dimension. A few scattered sequins finished off my project nicely. Folded shapes are a hot trend right now. What do you think–are you a fan? 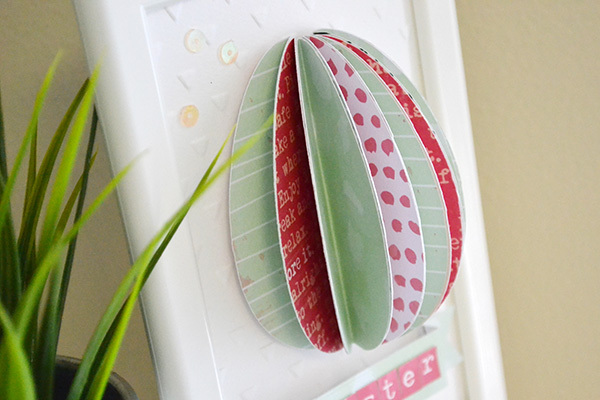 If you try creating a project with folded eggs, be sure to share it with us on our Facebook page! Welcome to Easter Week here on the We R blog! Our awesome team is oh-so-excited to share their first projects with you. You’re going to see ideas for Easter packaging, Easter baskets, Easter decor and more! The new design team has us armed with tons of great tips and ideas for this fun holiday, so sit back and soak in the inspiration. Hi peeps! It’s Kathy here to share my first WRMK design team project with you today along with a little confession. Would you believe I’ve never made my own gift boxes with scrapbook paper? That’s pretty hard to imagine with the years of paper crafting experience under my belt, but I’m a little impatient when it comes to measuring and scoring, etc. But now with the new WRMK 123 Punch Board all the work is done for me so there are no more excuses not to. 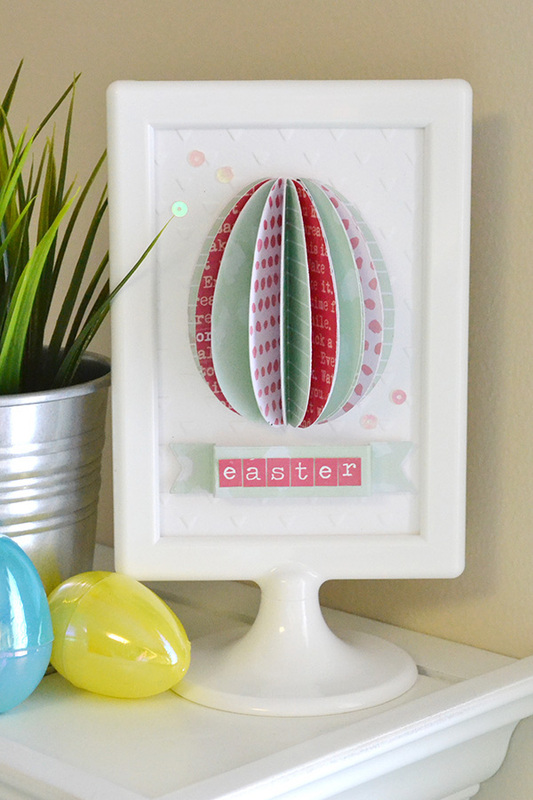 In fact, it was a lot of fun to make this pretty Easter present and I can’t wait to create more! I used the Hello Darling paper collection for my project. Don’t you think it’s lovely for spring with the floral pattern and soft color palette? You can fill these boxes with anything from candies to gift cards. No matter what gift you decide to give, you can make a box to fit it perfectly since you can create boxes, bows and so much more in multiple sizes! Jen McDermott’s in the House! Hello!! I am Jen McDermott, and I have been a crafter of one sort or another ever since I was a little girl. I discovered papercrafting in high school, and have happily playing with paper, glue and stamps ever since! I currently reside in Wichita, Kansas with my hubby of ten years and our four children. I love Jesus, cookies and British TV/Movies and living room dance parties with my littles! 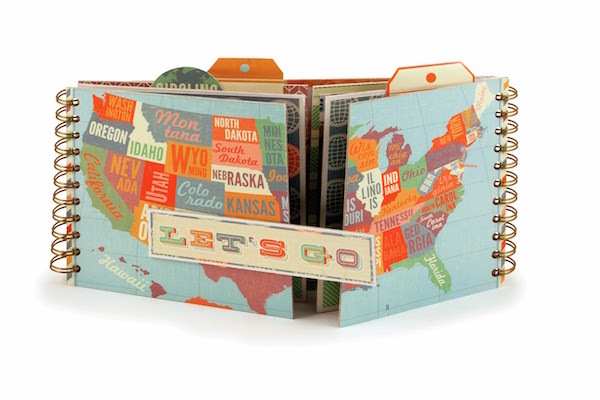 -Favorite paper collection: Notable–SO versatile, and I used it down to the scraps. 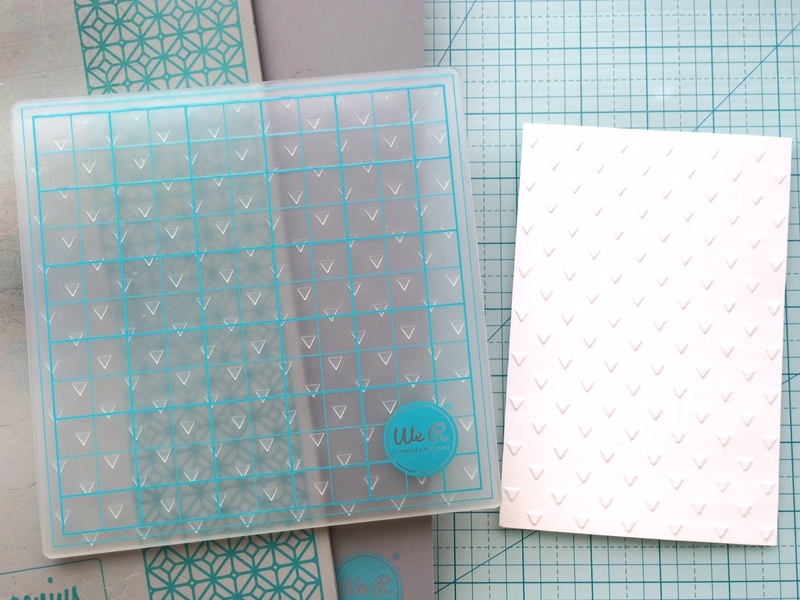 -Favorite tool: Envelope punch board–it’s perfect for albums, layouts, minis, and even banners! -Favorite tip: Journaling cards make AWESOME and easy additions to traditional layouts. 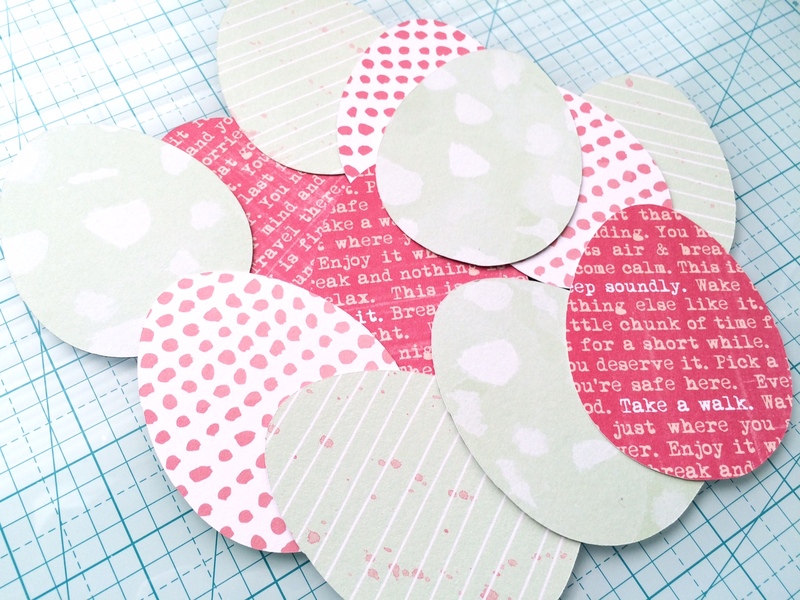 I love to layer the die cut cards on my layouts, and use the journaling cards for my journaling spots. I even use the printed cards as subtitles! So fun to get to know you better Jen, and I love your tip about journaling cards! So excited to see what Jen will make for us this year. 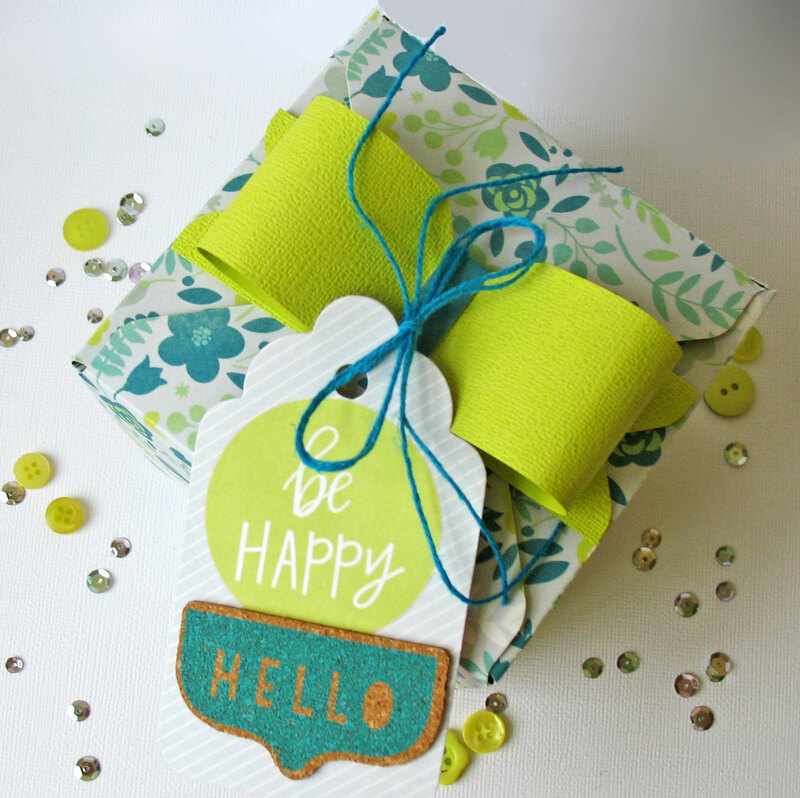 Stop by Jen’s blog, Wonky Wares, to see more of her darling projects. Wow, what an awesome group of designers. We’re lucky to have them sharing projects here. Stay tuned for their first blog posts next week. We are in for a treat! Say Hi to Kathy Martin! 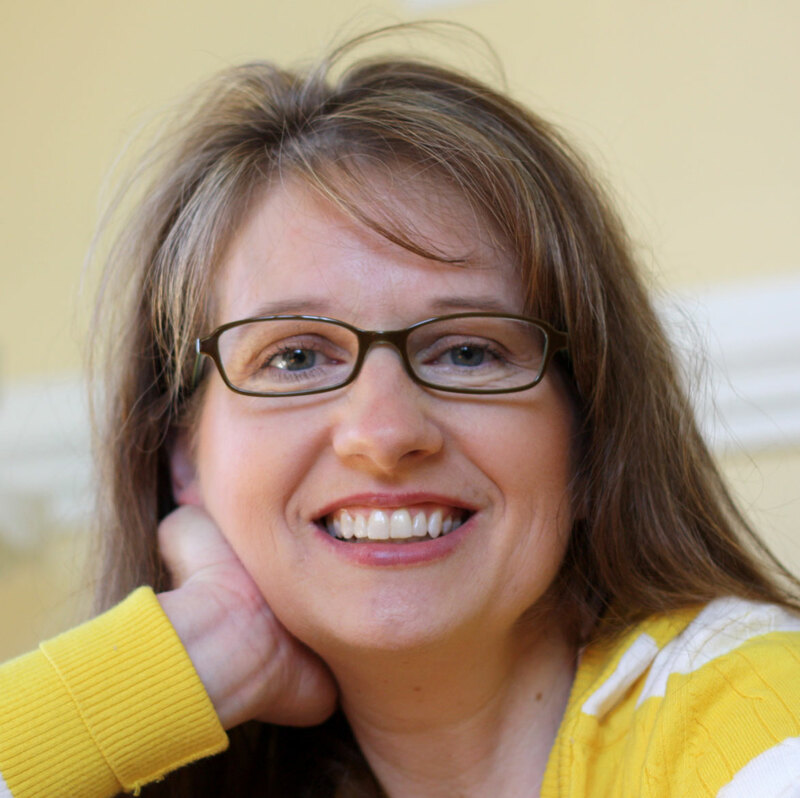 We are totally excited to introduce you to Kathy Martin, another 2015 design team member! Kathy is the queen of cards. Her attention to detail and use of beautiful layers will truly inspire you. You will love her work! Hi! My name is Kathy Martin and I live in North Carolina with my husband of 23 years, Dan. Together we have a 14 year old son named Christopher. I started paper crafting when Christopher was born in 2001 and haven’t looked back, When I’m not playing with paper I enjoy cooking, antiquing, crochet, hiking and reading! –Favorite tool: it would have to be the Crop-a-dile. I love how I can punch holes in anything like it’s butter. –Favorite paper collection: Little One! 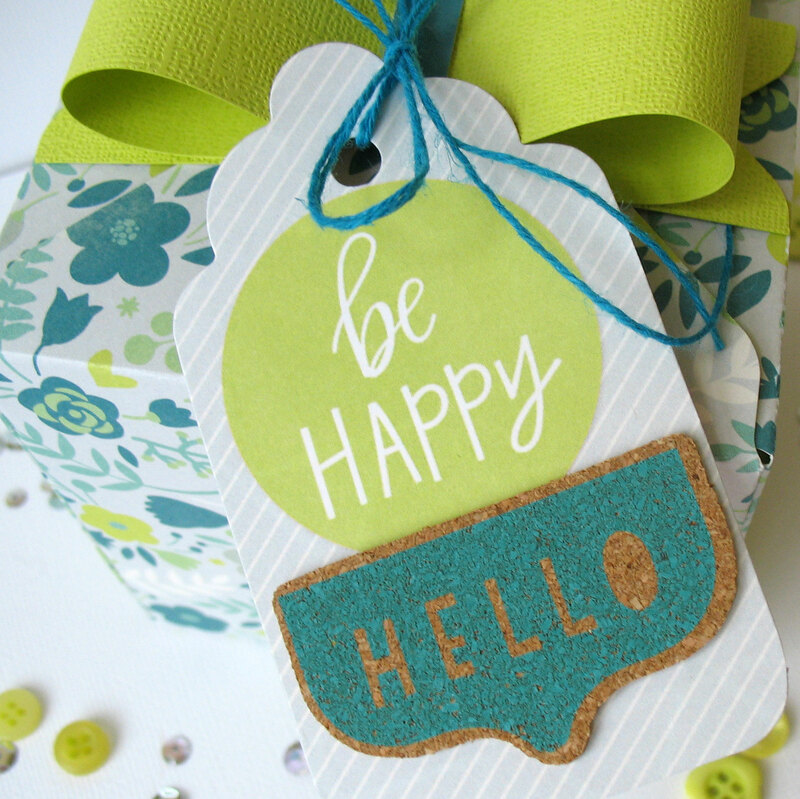 The soft color palette and the adorable wood stickers makes my heart pitta-pat! –Favorite tip: layers, layers, layers! And to achieve the most texture/dimension with your layers, foam adhesive is your best friend! Kathy’s gorgeous card was created with a paper collection from our sister company, Pebbles, and is a perfect example of Kathy’s tip about creating texture and dimension with layers and foam adhesive. Thanks for sharing your card Kathy, and we’re so glad to have you on our team this year! 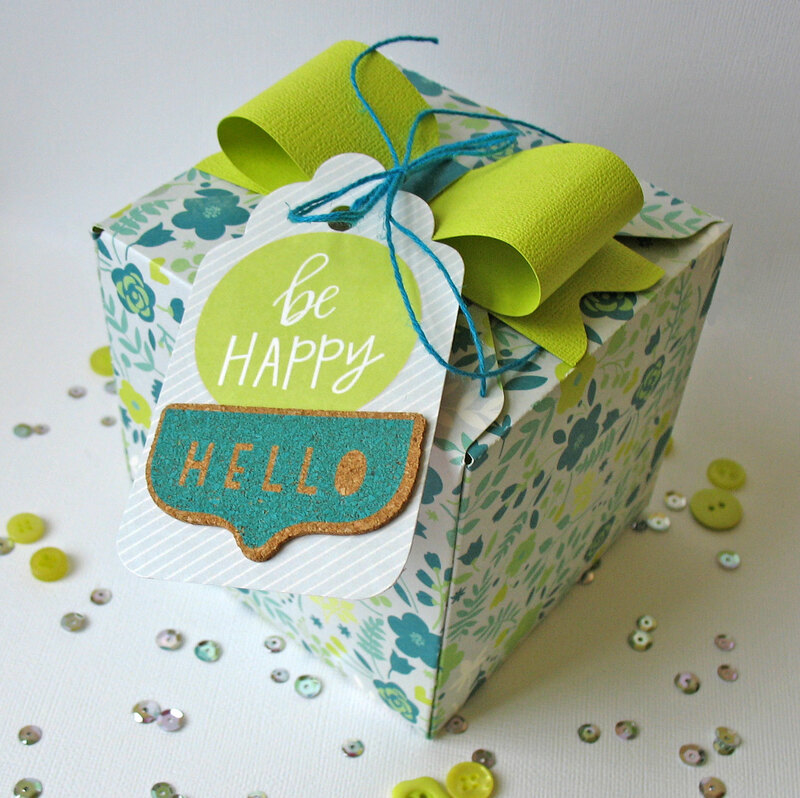 To keep up with Kathy’s cardmaking adventures check out her blog, Card-Blanc. It’s All About Carrie Walz! I am a stay at home mom of 2 wonderful children ages 14 and 20. I started scrapbooking as a form of therapy and it has blossomed into a full blown addiction. I am from the beautiful Windy City…Chicago. I have served on several design teams. In my spare time when I am not scrapbooking, I love to cook, watch baseball and hockey and pretend that I am a photographer. My camera is like the old American Express ad…I never leave home without it! I generally do layouts and cards. I am very excited and honored to be working on the We R Memory Keepers team. 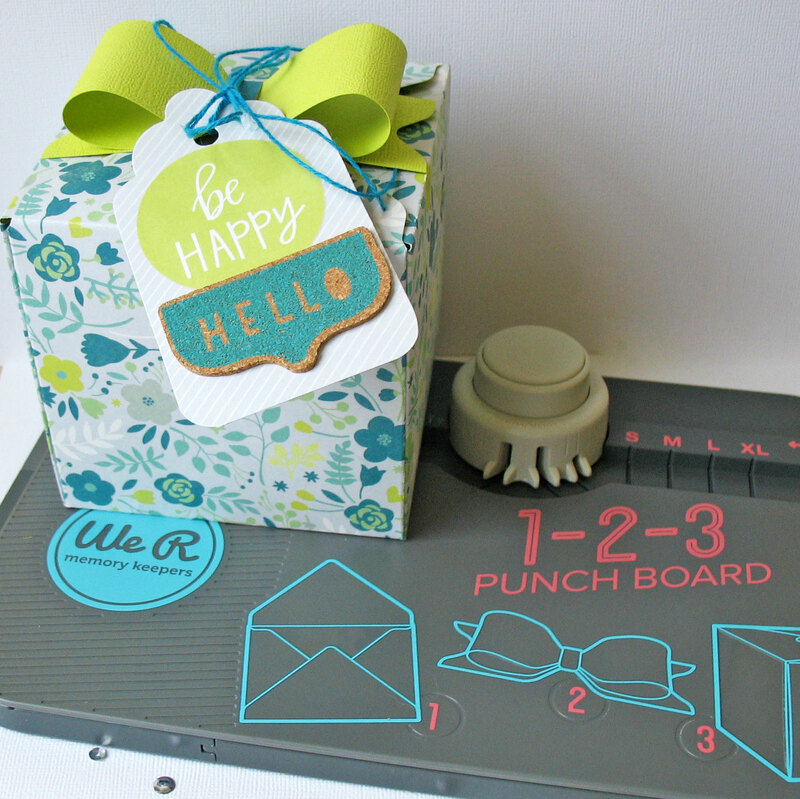 –Favorite tool: The Envelope Punch Board. I always make my cards bigger than most envelopes so it is nice to be able to make them custom sized. –Favorite paper collection: Indian Summer. I love the browns and earthy tones this line has. –Favorite tip: when I take pictures I always take the same photo in both directions. One horizontal and one vertical, this way you have a little more wiggle room when doing your layouts. What a great tip, Carrie! Thanks for sharing a little bit about yourself. We’re so glad to have you back on the team and we can’t wait to see what you’ll share with us this year. Be sure to visit Carrie’s blog, Everyday Moments, to check out more of her beautiful work. 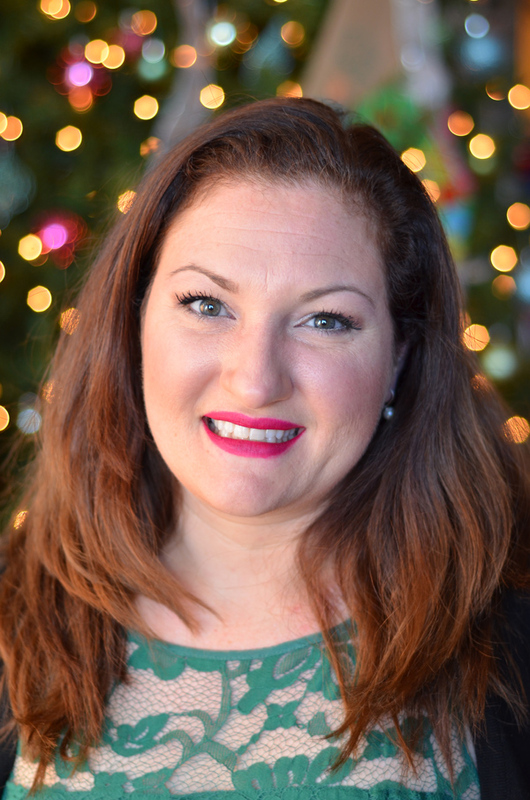 Join me in welcoming Jennie McGarvey to the 2015 We R design team! Jennie creates the most awesome masculine layouts (among other things)–she rocks the layers, and mixes patterns and colors like nobody’s business. Her projects are always so engaging. She’s also a great photographer, so I can wait to learn some tips from her. Here are some deets about this scrappy girl. I am a stay at home mom to 3 boys that keep me very busy! They are involved in all kinds of activities (mainly sports) that keep me and the whole family on the go. I’ve been scrapbooking since I was 12 after a trip to California, but in the current style since right before my eldest son was born in 2001. In January of 2011 I decided to get involved online, add my projects to galleries and submit for publication. I’ve been fortunate to have many of my projects published and created for various design teams. In addition to scrapbooking I enjoy reading and photography. 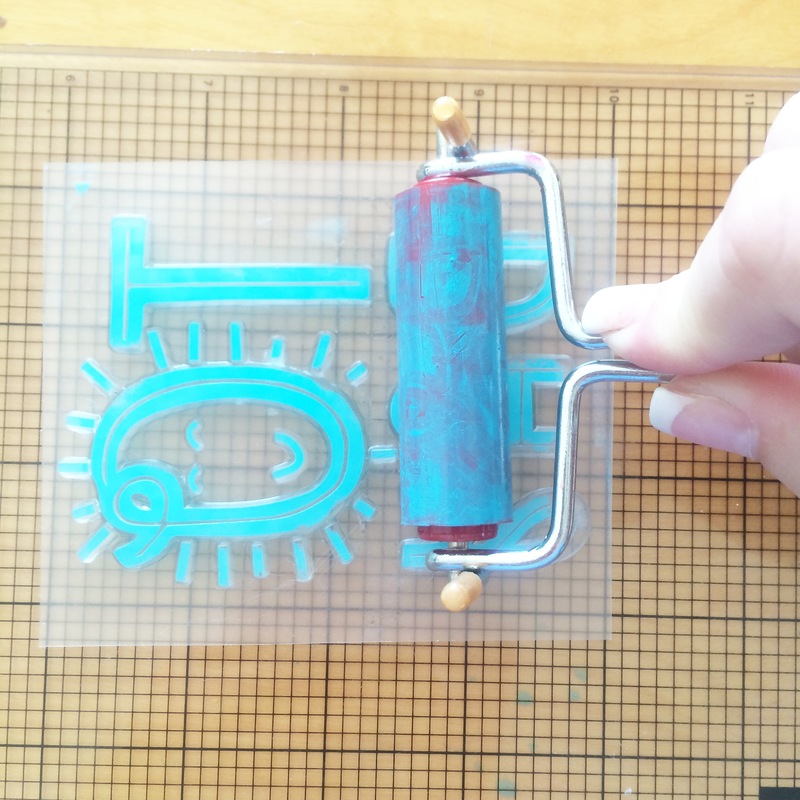 I am a total sucker for the Letterpress tool and all of the projects that a person can create using it! It’s great for cards, pocket scrapbooking and scrapbook pages. There are several We R Memory Keepers paper collections that I really like and I feel like are fun to use for pages + cards. I’d say that It Factor is my very favorite. There are some really fun and beautiful colors that were really fun to work with. My biggest tip for me with paper crafting is less is more. I no longer feel the need to have everything. I feel like I can create more inspired when I am surrounded by less stuff. That can be difficult when working on several design teams, but I really limit what I purchase to things I love. 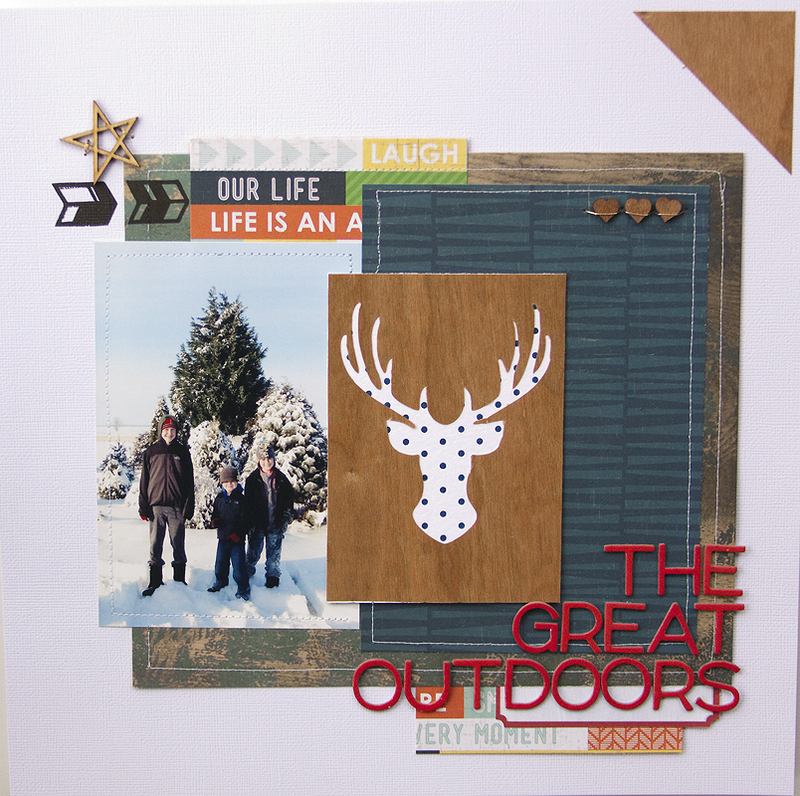 Check out Jennie’s blog HERE where she shares more of her beautiful projects. Thank you for sharing some fun things about yourself with us today Jennie! We can’t wait to see what you’ll create this year. I don’t know about you, but I’m sure enjoying the chance to get to know these talented girls this week! 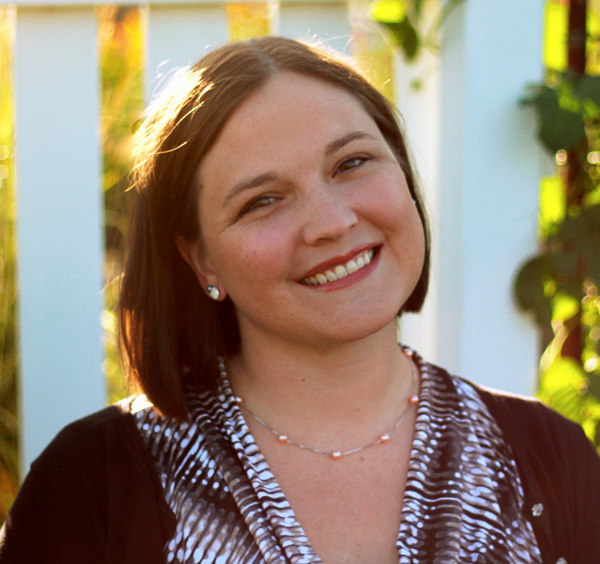 Get to Know Samatha Taylor! 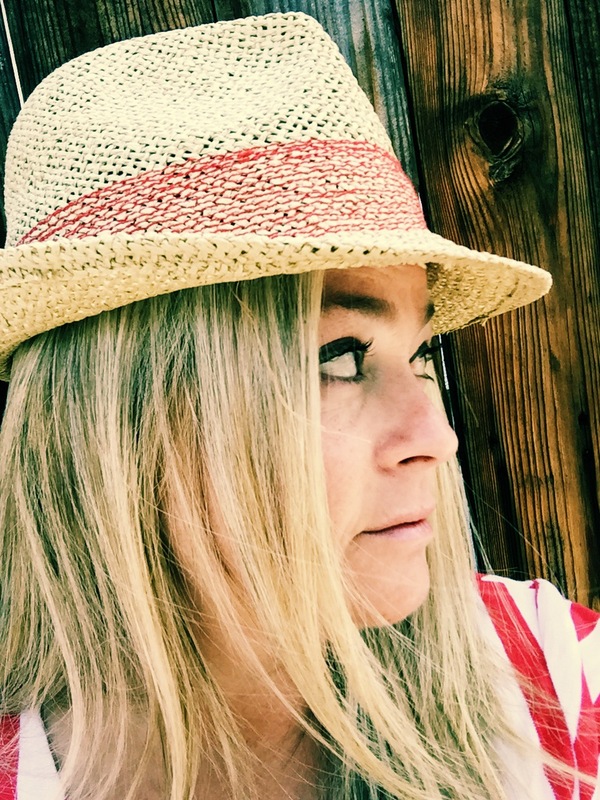 Please welcome the talented Samantha Taylor to the 2015 We R design team! We love Samantha’s style–great designs, clean lines and graphic-inspired, with some pretty cool techniques thrown in for good measure. We know you’ll love her projects too! Here’s a little about Samantha. I live in a small town in rural Iowa with my husband and 2 boys (all 3 of whom you’ll see featured in my projects). I’m a paper crafting fanatic who also loves photography, knitting, and cooking. I enjoy making layouts, cards, mini albums and home decor items. My favorite thing about paper crafting is getting to connect with so many people all over the world who also love making things from paper and preserving memories. I am so excited to share with you my love for all things We R Memory Keepers. Each year I create a (very large) mini album that covers all of our December fun. This year I had a blast using the 4 x 6 and 3 x 4 Albums Made Easy cards from Silver & Gold to create my album. –Favorite tool: My favorite We R tool is a tough one. If I have to chose, I guess it is the Envelope Punch Board. I get so much use for mine! I love making personalized envelopes for cards, cute little mini envelopes for gift cards, and even envelope pages for mini albums! –Favorite paper collection: With 2 boys and lots of nieces and nephews, I’m always looking for great Birthday line, so Cakes & Candles is absolutely my favorite! Plus, those enamel shapes are just too fun. 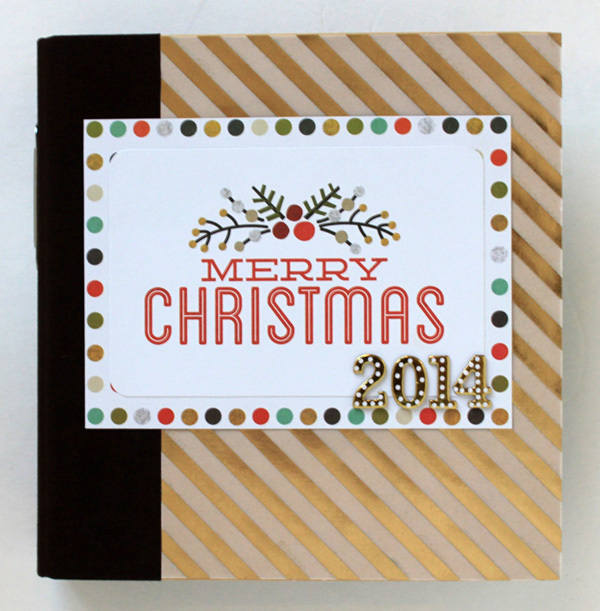 –Tip: I love using the Albums Made Easy cards for journaling, embellishments on cards, and to create mini albums. That means I end up with quite a few cards to store! 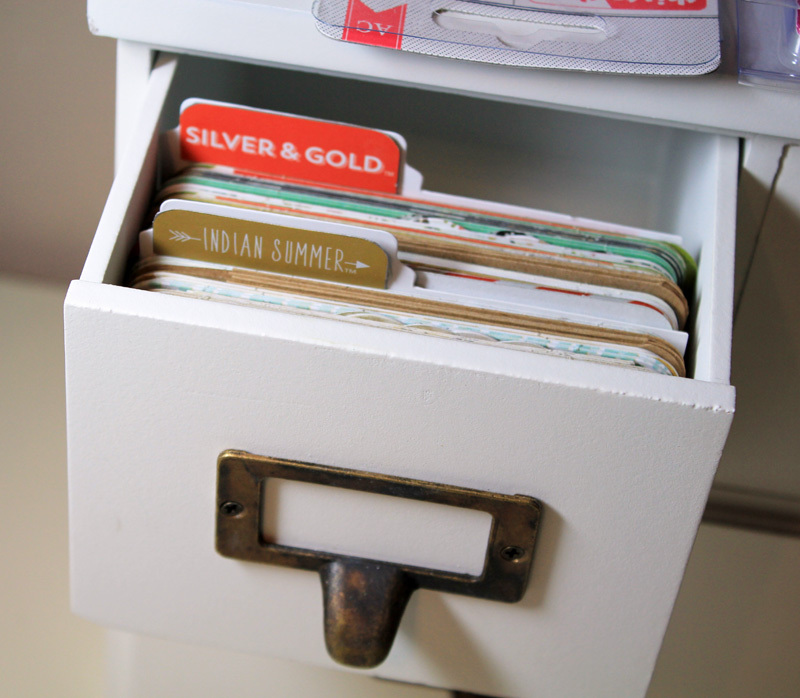 I love the Albums Made Easy Card Cabinet, but no matter how you store your cards, you can still use this little trick. Cut the name of the collection off of the packaging that your cards came in. Attach it with a little removable or repositionable adhesive to a card divider. The bright colors help the tabs stand out, and when you use up all of the cards from a collection, you can remove the label and replace it with a new one! Thank you for sharing more about yourself, and for your genius tip Samantha! I’ll definitely be borrowing that idea. 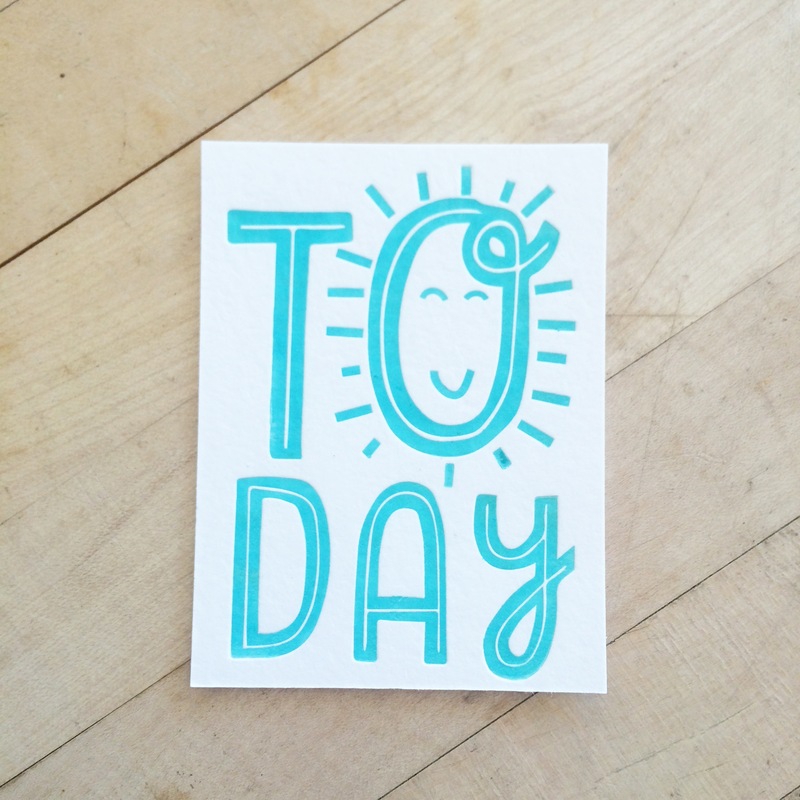 Be sure to visit Samantha’s blog, Taylor Stamped, to check out more of her darling projects. 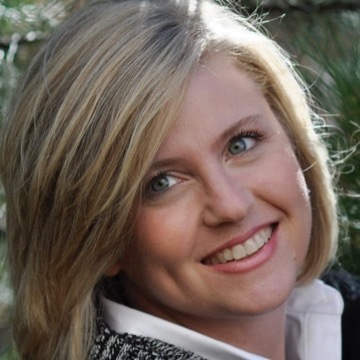 We’re so happy to welcome back Traci Penrod to our team this year! 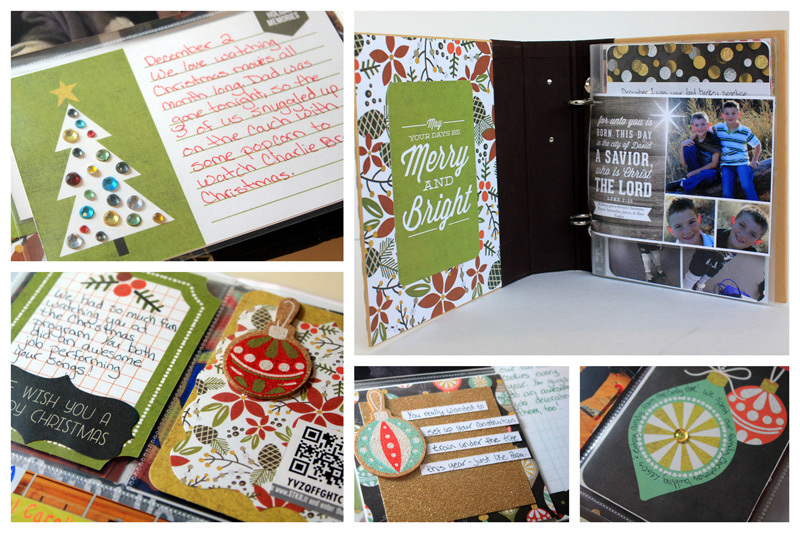 Traci makes gorgeous layouts and cards, but she is also a mini album jedi master. 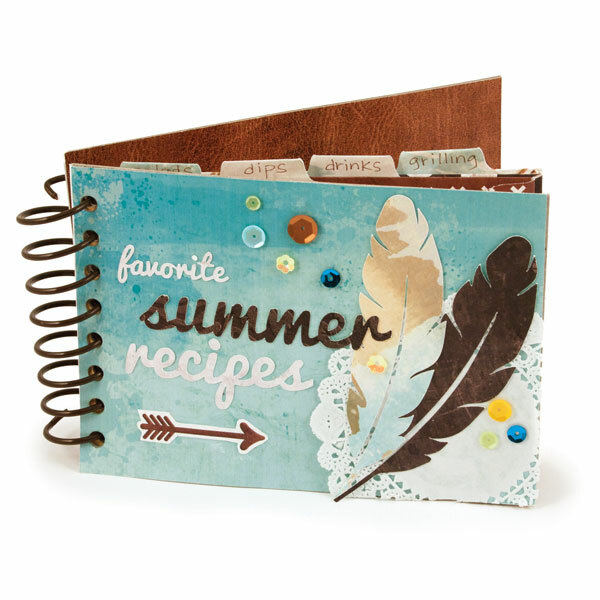 She creates the most amazing cinch books and 3D projects. You are going to love her work! 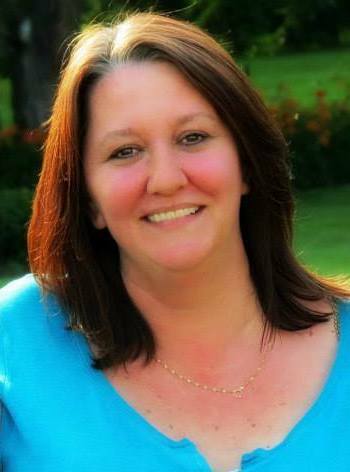 My name is Traci Penrod and I live just northeast of Atlanta, GA. I’ve been married to my high school sweetheart for 26 years, and we have two sons, one who was recently married, and one in college. I’ve been scrapbooking since I was in high school as a way to save memories of my mom, who I lost to breast cancer at a young age. Although my style has changed a lot since the early 80’s, the hobby has now become a full-time passion. Today, if I’m not hanging out with my family or friends, you’ll most likely find me in my basement studio. I will be happily creating my family albums, or creating for an Artsy Albums client, or one of the wonderful manufacturers I’m proud to design for. I get to wake up every day and create something fun — for that I am truly thankful! 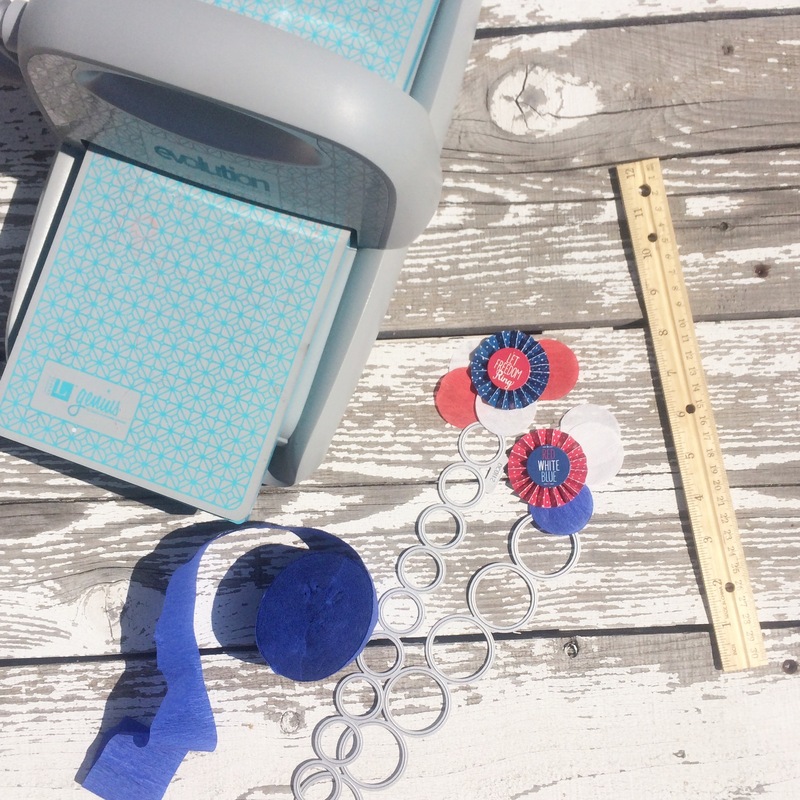 –Favorite We R tool or paper collection: I have lots of We R Memory Keepers favorites, but the 12×12 ring-bound albums, the Cinch binding tool, and the Corner Chompers are my top three must-haves. –Favorite tip: adding pockets to layouts and mini album pages. I always have more pictures or journaling than will fit on the space, and when I do, I add a pocket! I can tuck extra photos, cute tags, or journaling notes into the pocket and save space on my page! If I’m using a plastic page protector, that’s not a problem … I just use my craft knife to cut a slit in the plastic, right across the top of the pocket. My tags and photos can be pulled out of the pocket from outside of the page protector. We’re so glad we get another year to enjoy your beautiful projects and amazing talent Traci! Watch for her marvelous minis coming to our blog soon, and in the meantime you can catch her on her personal blog, Artsy Albums. Say Hello to Aimee Maddern! 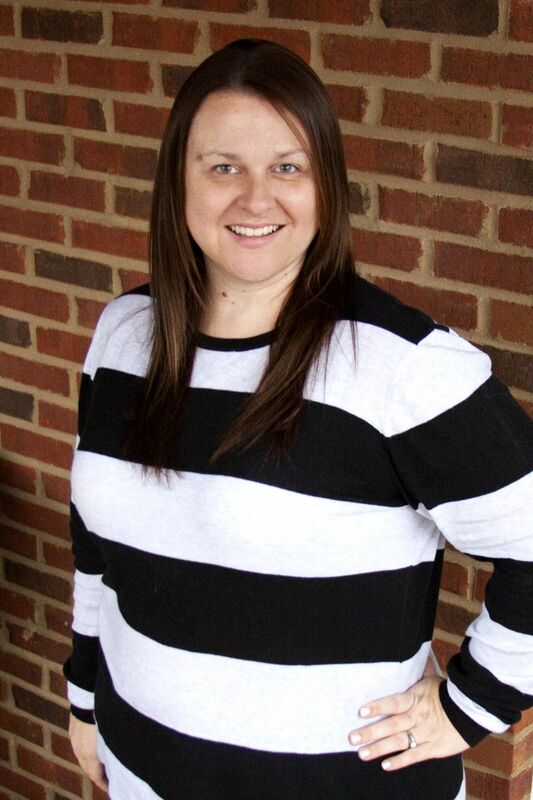 Give a warm welcome to 2015 design team member, Aimee Maddern! You’ll love Aimee’s simple yet whimsical style, as well as her awesome photography skills. We asked Aimee to share a little bit about herself, her favorite We R tool and paper collection, and a fun tip. Enjoy! I’m Aimee a past owner of a scrapbook boutique who has a passion for paper & has way too much of it! I have always been a crafter. I’m a so Cal native who loves the sun, lattes, shopping, my boyfriend and 2 dogs. I work from home, which allows me to travel with my parents and their racecar. And while doing all of the above I end up collecting bits & pieces along the way. –Favorite Paper Line: Do I really have to pick just 1 Favorite Paper Line? –Tip: When it comes to journaling I am not very good at it. Sometimes when I scrap a photo, I want to tell the story that goes with the moment the photo was taken. Sometimes I want to tell a story about how the photo makes me feel now, in the present moment. There are all different ways to share your photo’s story and it doesn’t have to be with journaling. I have also noticed lately I haven’t been using titles on my layouts. One of the ways I tell “my stories” is with product. 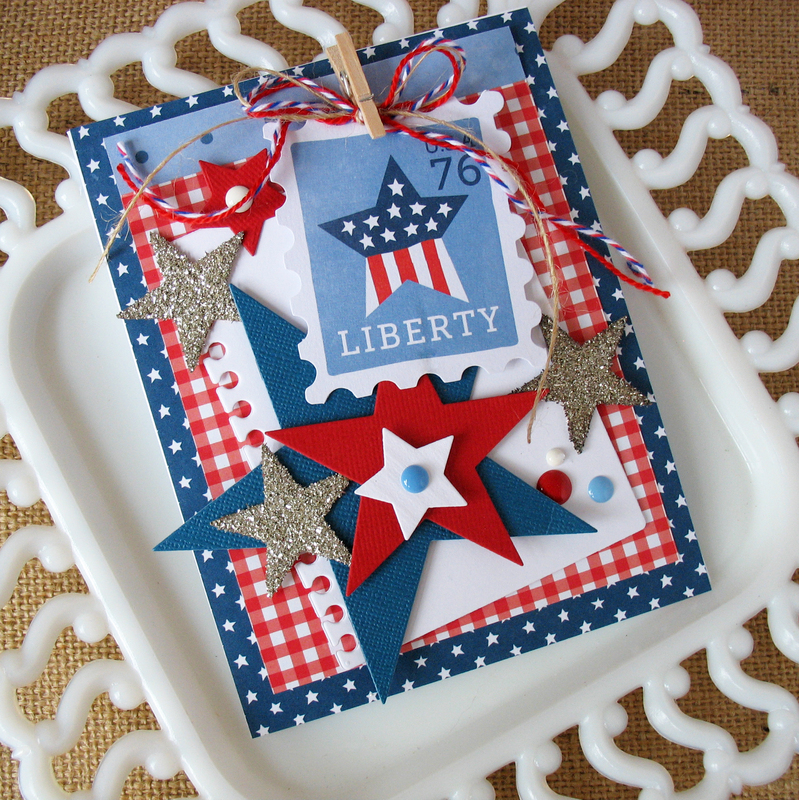 There are so many embellishments, papers and stamps that can help you tell your story! Thanks for sharing a bit about you with us Aimee! We can’t wait to see your future projects here on the blog. To keep up with Aimee’s crafty adventures, visit her blog Aimee’s Armoire. Announcing the 2015 We R Design Team! 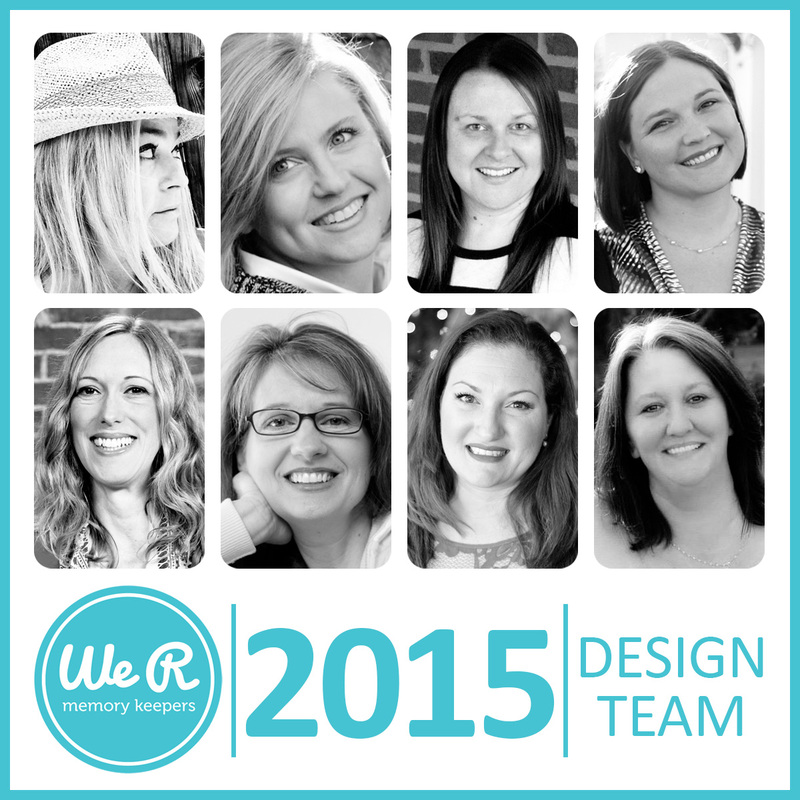 Today we are beyond thrilled to share with you the wonderfully talented members of our 2015 We R design team! We hand picked these crafters based on their creativity, quality of work, and their positive presence in the industry, and we know you are going to be inspired by what they have in store for you this year. Along with this announcement we also want to say a huge thank you to our outgoing team members. They have not only shared their hard work and amazing talent with us, but they’ve been a great support to We R during their time on our team. We wish them the very best! Over the next week and a half we’ll be introducing you to each team member and sharing some fun tidbits about them so stay tuned!